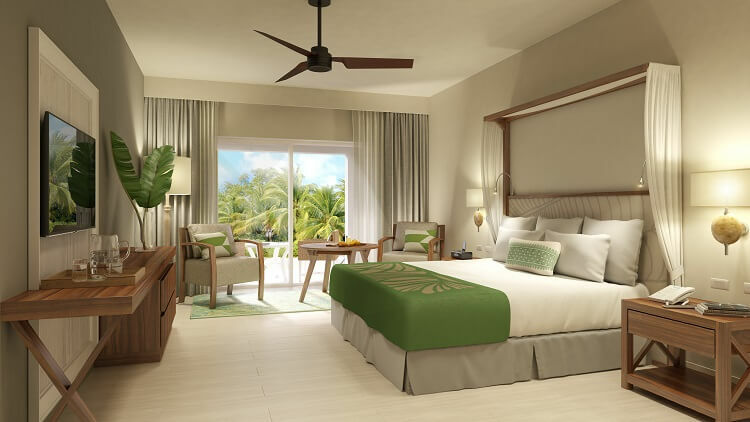 Your temporary home at Dreams Dominicus La Romana will have you wishing it was permanent! There’s no shortage of luxury, from 24-hour room service to your own furnished balcony or terrace. The comfort of your room will be suitable for moments of downtime or if you ever want a quiet night in before waking up to experience another memorable day in paradise! If you’re booked in any of the resort’s Preferred Club room categories, you’ll also have access to a private lounge and beach area along with additional deluxe amenities, such as personalized check-in and check-out, upgraded mini-bar, a pillow menu, and more. Depending on which room category you’re in, you may find yourself swimming in your private plunge pool or taking in breathtaking views of the ocean! 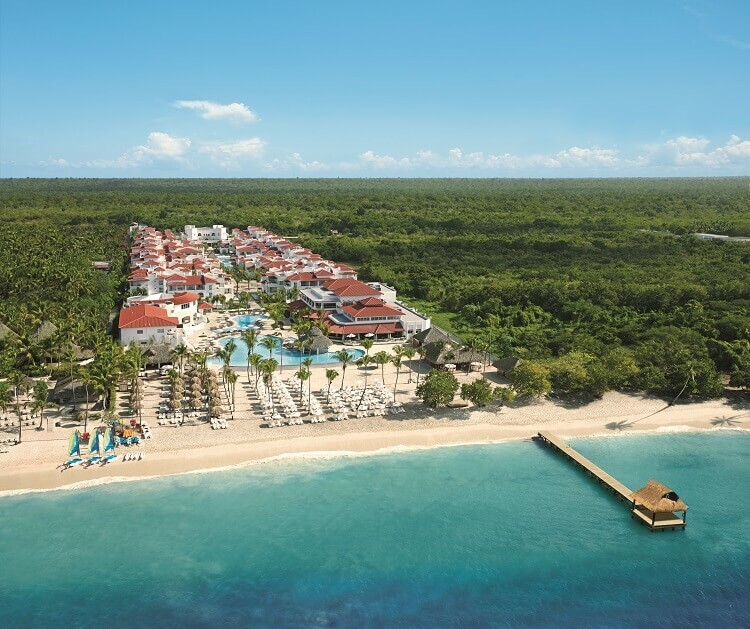 A resort for all ages, Dreams Dominicus La Romana is up to its ears with things to do at every turn! The Explorer’s Club for Kids welcomes little ones ages 3-12 for supervised activities and the chance to meet other children. 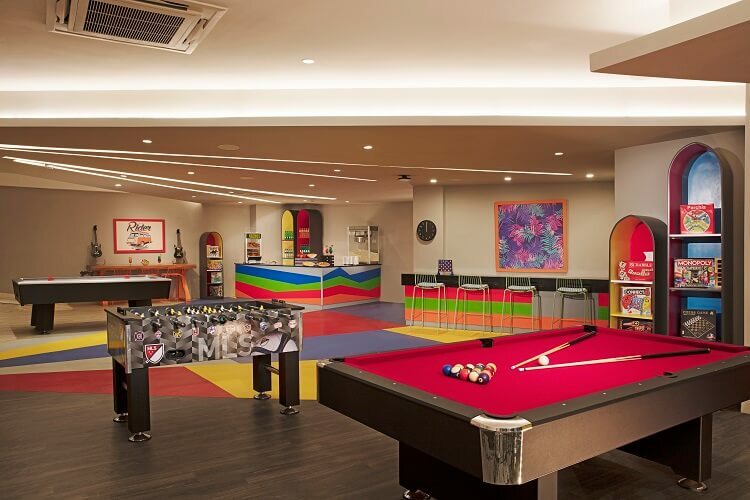 The Core Zone Teens Clubs serves as the perfect hang out spot for youth ages 13-17 to enjoy video games, bonfires, air hockey, foam parties, and more. If you’re looking to spend your days in the sun (you’re in the Caribbean, after all! 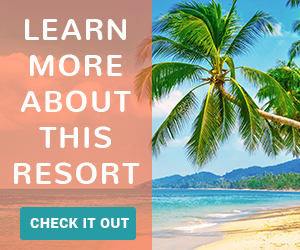 ), jump into a rousing game of beach volleyball, doggie paddle your way to the pool’s swim-up bar for a refreshing beverage, or meet some sea life while snorkeling! At an additional charge, you can go scuba diving, hit the fairways for a round of golf, or take to the open sea on a fishing excursion. Tours make for thrilling offsite adventures so you can explore the area! Places like Saona Island and Altos de Chavon will expose you to gorgeous Dominican scenery and culture. Back at the resort, theme nights, live entertainment, and movies on the beach create perfect evenings so each day of your trip is full of excitement! 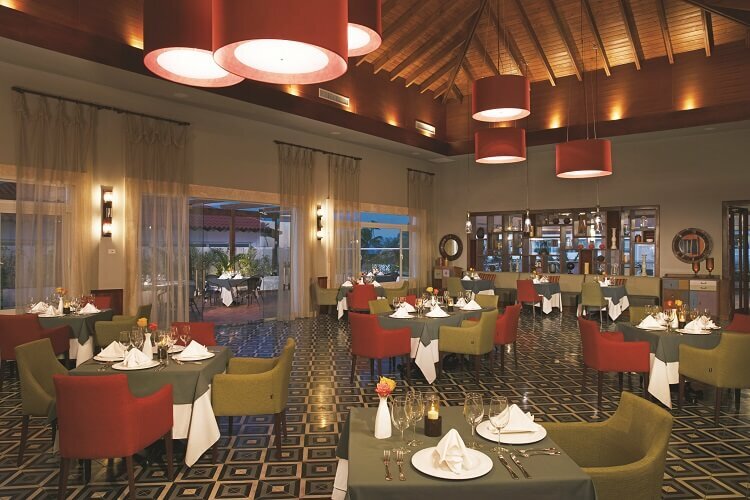 Whether you’re looking for a casual setting by the beach or want something a little more upscale, Dreams Dominicus La Romana has it all! Indulge in an international buffet, taste the mouthwatering flavors of Italy, or enjoy your favorite sushi roll. A coffee and snack café is open 24 hours a day so you can stop by between meals for a quick mid-day boost. Those of age can also stop by one of the resort’s bars and lounges for unlimited drinks at any time of the day! A serene oasis awaits your arrival! 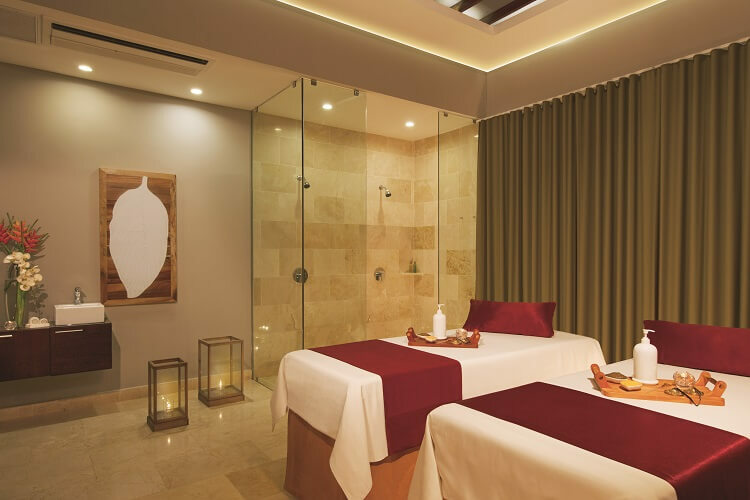 Dreams Spa by Pevonia® will sweep you into a deep relaxation and leave you feeling completely rejuvenated. Swedish saunas, steam rooms, a Jacuzzi, and whirlpools invite you to ease your mind and body so you’re worry-free during your vacation. If you’ve been outside all day, delight your skin to a post-sun exposure facial or give your whole body a treat with a revitalizing wrap. Plus, your spa visit wouldn’t be complete without a massage to relieve any tension in your muscles that you’ve been carrying around for too long. They even offer treatments for children and teens so guests of all ages can be pampered from head to toe! 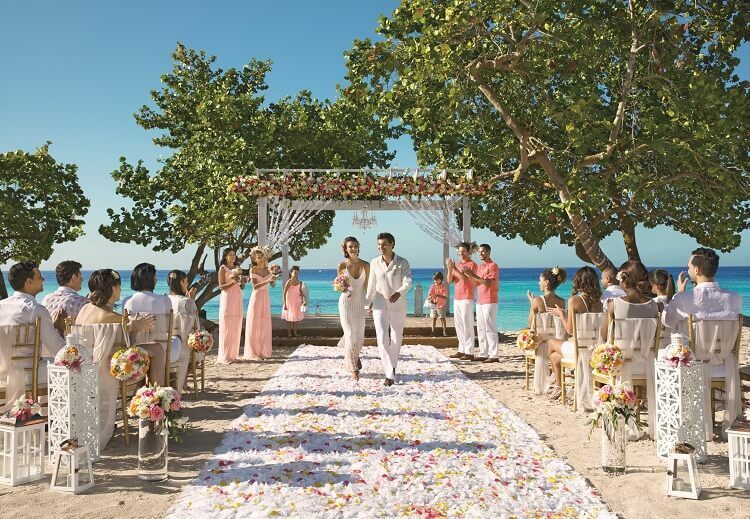 Couples looking for their picture-perfect destination wedding will find everything they need in any of the three wedding packages offered through the resort wedding department! The Dreams Wedding in Paradise Package is suitable for up to 10 guests and includes a symbolic ceremony, discount on spa treatments, one bouquet and one boutonniere per wedding couple, late check-out for the couple (when available), and much more. The Dreams of Love Wedding Package features everything from Dreams Wedding in Paradise with additional features such as a private cocktail hour and private dinner reception for up to 20 guests, 36 color photos and wedding album, a floral centerpiece for the sweetheart table, and hairstyling and makeup for one member of the couple. Take this package up a notch with the Dreams Ultimate Wedding Package for even more perks like an edited video of your ceremony, a live Mexican music trio to play during cocktail hour, and ceremony décor including chairs with white covers, ceremonial table, and an aisle runner. Choose which one matches your vision and personalize it to bring that vision to life! In addition to weddings, the resort offers other romance packages for occasions such as honeymoons, anniversaries, and vow renewals to make sure those special moments between you and your loved one are celebrated in luxury! Are you ready to take off to the Dominican Republic yet? 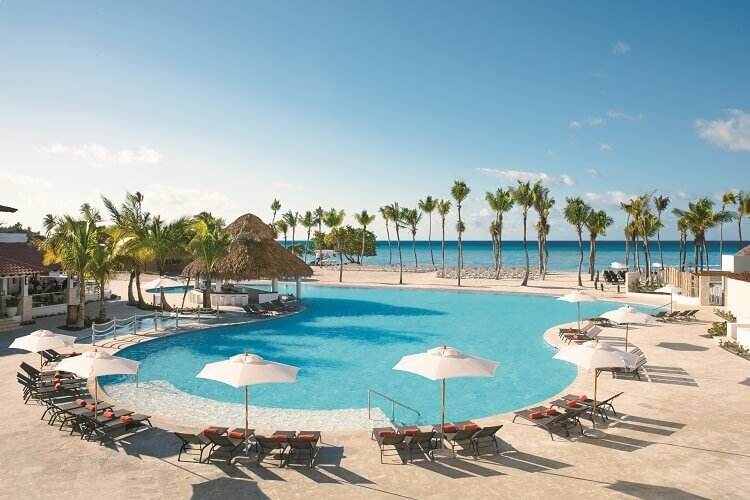 Experience the wonders of Dreams Dominicus La Romana by heading to All Inclusive Outlet for the best discounted vacation packages. You’ll be on your way to paradise in no time!